It feels different to be traveling in Rajastan. It's like a different India out here. The people are less manic, and the streets become larger but less noisy. 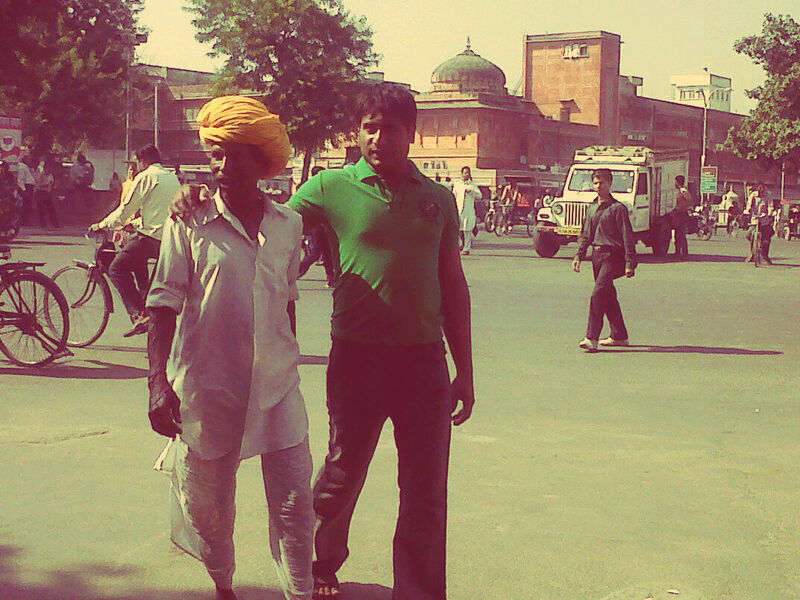 It was an eventful train ride from Varanasi to Jaipur, and all 17 hours of it. I got the last seat in a sleeper non-ac and i thought this is going to be tough. Surprisingly, it's the most comfortable journey I've had in India. They call it the killer trip because it's a long ride, and lots of thieves. Good thing, Medical students from Okinawa, a French hippie and a couple of Indian veterinarians kept me company. I dozed off after 15 minutes. I arrived in Jaipur, and it feels like Mexico for a bit. The colorful temples, and the vibe is definitely different than in Delhi, Agra or Varanasi. I see a lot of monkeys roaming in the city and shopping is a serious addiction here. I went to key places because i have very little time and find myself enjoying the streets leading to Hawa Mahal or the Palace of the Winds. It's so beautiful. The next day, i woke up feeling much better. I am staying at a really beautiful guesthouse called Pearl Palace Hotel off Ajmer Road. It's my most expensive accommodation at 800 Rp. but it's well worth it and the extra nice Peacock Restaurant serves excellent food. I walked and walked for a bit and decided i needed to explore Jaipur without any help. 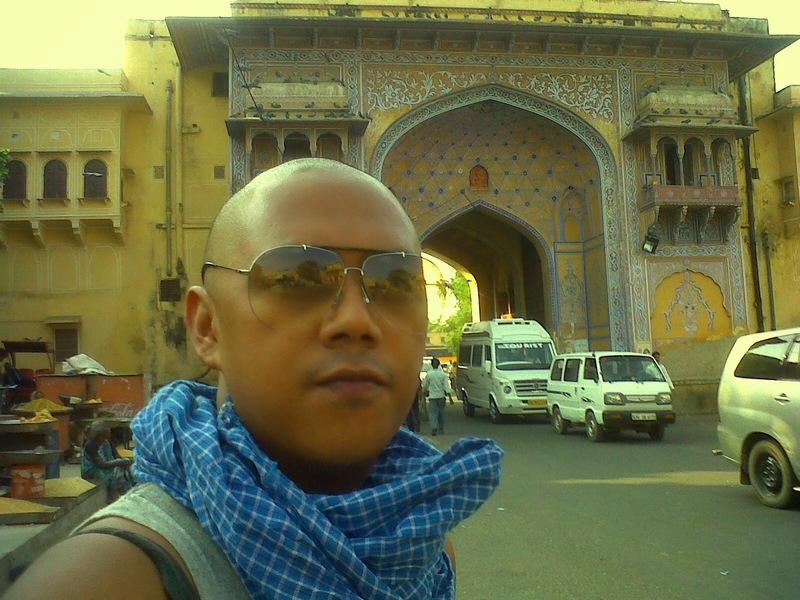 I went to Jaipur Central park and sang my heart out. Nobody can understand me anyway. I left painted with great memories of Jaipur. Little did i know that my most adventurous journey would be on my way to Delhi via bus. I booked for a bus because i still have one more day. My flight leaves for Bangkok at 11:35. We left Jaipur at 2. On the bus, i had the most unforgettable experience of my life that i want to share with everyone in detail. I find myself in tears, not because i am leaving but because i had the biggest realization of my life. I gave all the food that i bought for the trip and i've never been happy seeing the little Indian man smile. I will never forget the people i've met on the bus. Because, without saying anything, i found the answers i was looking for. And writing this, brings back memories and i am in tears again. Life is unfair but for someone like me, what can i do. I know for sure, they will never forget me. And my memories of Jaipur are etched in my backpack which they used as a seat for the ten hour journey. How can i discount the fact that in Manila, i am taking things for granted but back there, everything is of the essence. I arrived in Indira Gandhi International Airport and i missed my flight. I booked another airline called Kingfisher, leaving two hours after. I will never forget India. And i know she will never forget me. I still have a lifetime to go back again and again. Words are enough for us to visualize your moment in that ride. The common denominator na sinasabi ng mga taong nakapunta na sa India is that they realized na they're lucky and feel sorry for taking things for granted back home. @Ed Hi Ed! So sorry that i wasn't able to post photos when i wrote this. One, i cannot charge my camera battery - FAIL and two, internet and computers in Varanasi - HOPELESS! hehe But it's all good. Thanks! @pinoydaysleeper.com naiyak ako eh. tsk! Bad trip. Ayoko ng ganun nakikita. Di fair eh!